A couple of blog entries ago I alluded to an exciting new project I’ve been working on. Now I’m ready to reveal the big secret. Only beer can make a man this crazed with happiness. Picture circa 1995, so don't expect much in person. It’s the return of beer. Not that beer ever went away. We’ve always—since the very first day of our original company, Brew King, thirty years ago—had beer products as part of our lineup. 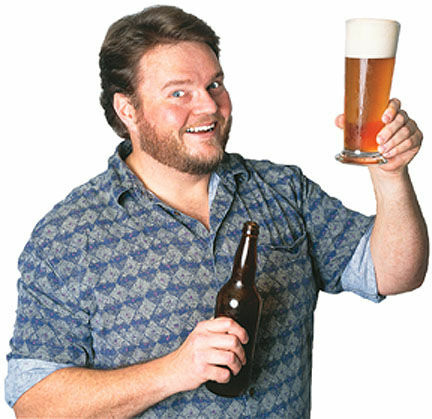 The entire consumer beverage industry got its start—just as so many of our winemaking consumers did—with beer making. 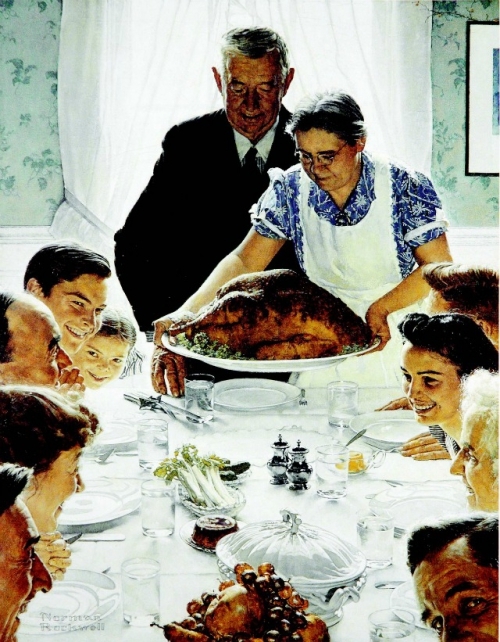 Few people know Norman Rockwell's Canadian roots. Because he didn't have any. For Americans who see Canadians observing Thanksgiving weeks early, it's not that we're trying to get a leg up on the turkey and pie deal. The Canadian holiday is indeed a liturgical festival, but it has stronger ties to European harvest festivals than with Pilgrims and such. In fact, 'Thanksgiving' holidays have been celebrated in May, June and many other dates. That's why it took an act of parliament to set the day in stone. Limited Edition 2013 is here! Today I bottled the Chilean Malbec/Shiraz kit I started Sept 1, and it came out awesome. While picking up the bottles for today's project, I put my order in for the South African Shiraz LE2013. That's going to be great, I'm sure... Last year I got the Argentenian Torrantes, and that was very good, very interesting flavors for a pseudo-gamay grape. I love your kits! They come out great, and my friends all benefit over the holidays! Not sure what you mean by 'pseudo-gamay', but I agree that the Torrontes was spectacular--and the SA Shiraz-Cab is going to be a big, bold fruit-bomb! I love maps, especially vintage maps and ones with weird projection schemes, but the one bug/feature of early maps, the tendency to leave large blank sections with a note about monsters or the edge of the world has always delighted my sense of ambiguity--I'm far less interested in answers than I am in good questions. But not today. Today I discovered a map that has very few gaps, and a whole lot of 'here there be beer'. Back, Just In Time For . . . I've had a busy summer, with a lot of cool stuff going on. 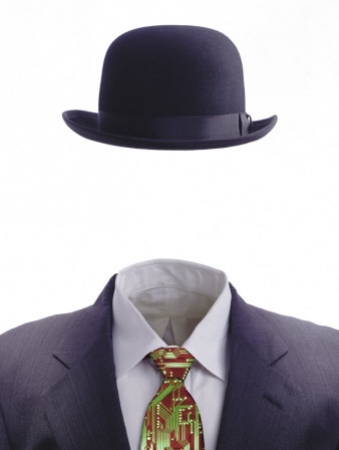 I haven't merely been an idle layabout avoiding this blog: I was away on vacation for three solid weeks, an unusual circumstance, in this busy era we live in. The first week I was consumed with the various chores I had put off for 365 days, getting up every morning an hour earlier than I do for work, flopping into bed well after dark and making a new list up the next day. 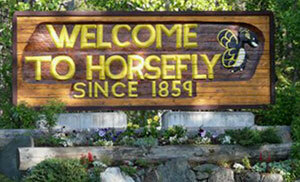 When the next week rolled around I packed up the car and roared up to a place called Horsefly. The trip was courtesy of my chum Mark, whose family has a cabin up there. It was a fun time of campfires, gopher hunting, long hikes and darn fine camp cooking. Those gophers never saw what hit 'em, which is to say: nothing. I'll be back again, and this time I'll bring my A game, dang rodents. After that was another week of staycation: long walks, beach days, gardening and hiking. I've been enjoying the trails through Campbell Valley Regional Park, a short drive from my place. There are wonderful trails that are simultaneously quiet, stuffed with wildlife of various sorts and quite serene. OK Tim, it's been over two weeks now you big tease! All in good time, Preston! Checkout this post at Tim's Wine Blog.